Number 96 makes its Brisbane debut on TVQ0. 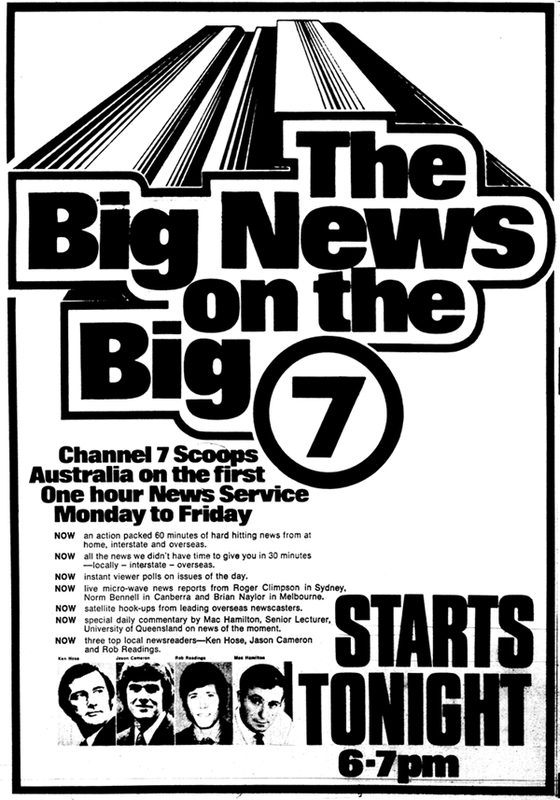 BTQ7's The Big News expands to a one-hour format - claiming Australia's first one-hour newscast. 12PM 12pm Movie: The Dark Mirror. 1946 [IMDB] 12pm Movie: The Big Shot. 1942 [IMDB] 12pm Movie: Doomed Lovers.